I wanted a place to myself to smoke and the garage was the only option. 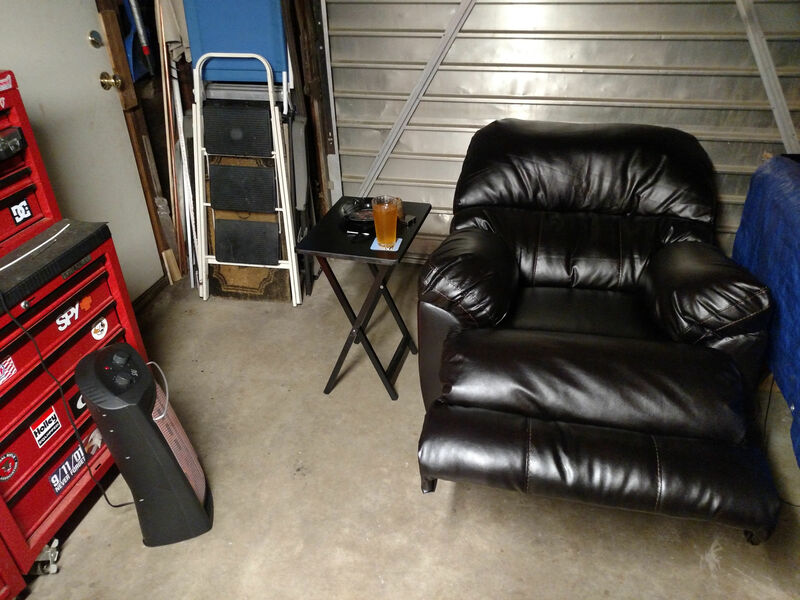 I was able to fit this recliner and folding table in there. The space heater keeps things toasty. Show us your smoke zone! I'm one of those guys who doesn't have any restrictions. The missus likes most of what I smoke and she's not a second hand smoke freak. I lucked out. I smoke in the car and in the house. I smoke at the office. I also got lucky. Cigar lounges when I'm on the road. I like those Adirondack chairs. I may have a hard time finding one this time of year though for the yard. Anywhere I want.......I have an office away from the mainstream at my plant,at home I wear the pants because my wife lets me.My wife does like most of what I smoke. Back Porch, I'm lucky that it's covered to protect me from the rain. My back yard. I haven't had time to really establish a nest yet since we just moved in, so this is the temporary location until we get some proper furniture for outside. The previous resident wasn't much for yard care either, so that needs to be rectified as soon as we see some sunshine. 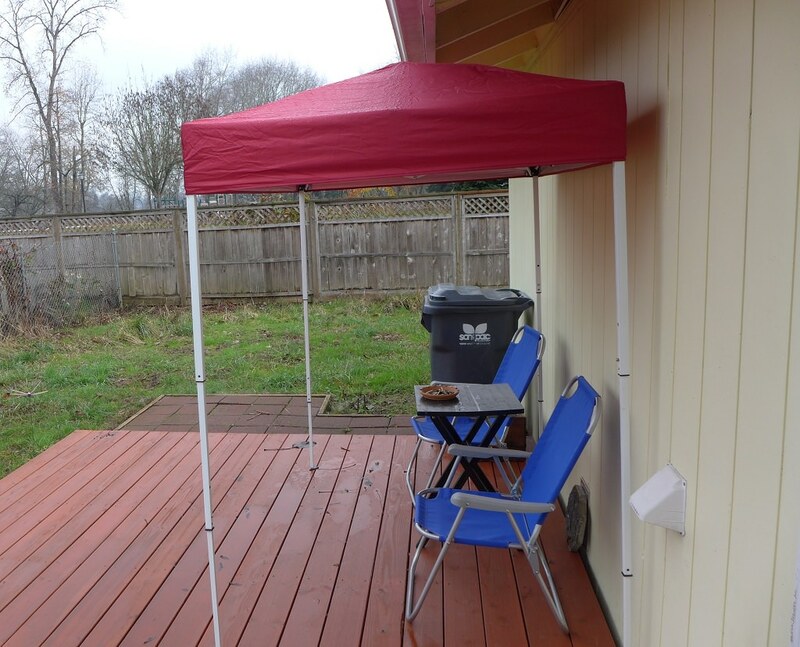 I smoke mostly on the porch, which has sunshades I can draw...they also help keep out the wind. Then, by the grace of Dear Sweetie and depending on her mood, I'm by times allowed to smoke in the den.